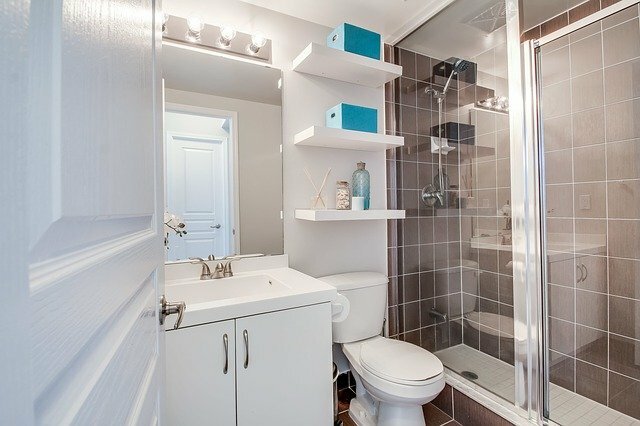 Small spaces pose interesting design challenges, even for architects like me. If you have an oversized budget, the possibilities are endless. However, great powder rooms or small bathroom layout ideas that don’t compromise on comfort or functionality require skill and expertise. 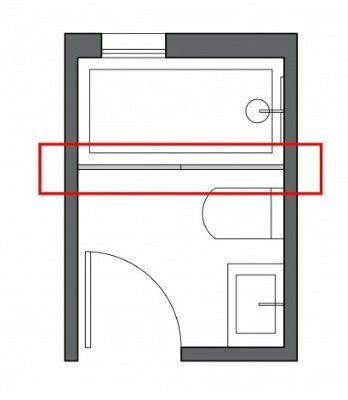 So, how do we go about designing a layout that fully optimizes your floor space? 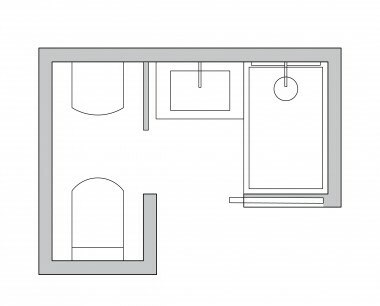 Find out as I share the ins and outs of various small bathroom floor plans. There are four basic criteria that govern the way any layout is built. We’ll apply them in a small bathroom, just over three square meters in dimensions. The space has good proportions. Therefore, we are able to arrange the pieces so that the area feels more comfortable and spacious. Get your ducks in a row. And by ducks, I mean heavy bathroom pieces: the toilet, the sink, and the shower or bathtub. The new distribution visually orders the space, allowing us to perceive it in all its magnitude, even with its small size. This arrangement also generates a natural flow, making it more welcoming and comfortable. If you look at the before image of the two layouts, you can see three empty gaps. But, wasted space is a big no-no. Notice in the new floor plan how there is only one, larger space. By aligning the pieces, we have created a large pathway for accessing all the fixtures in a much more intuitive, functional way. Before starting your renovation, find out the cost of renovating your bathroom with our free cost estimator. The video below will guide you through the easy steps. Placing the bulkier pieces, like the shower or tub, away from the entrance is one of the best ways to create the illusion of more bathroom space. 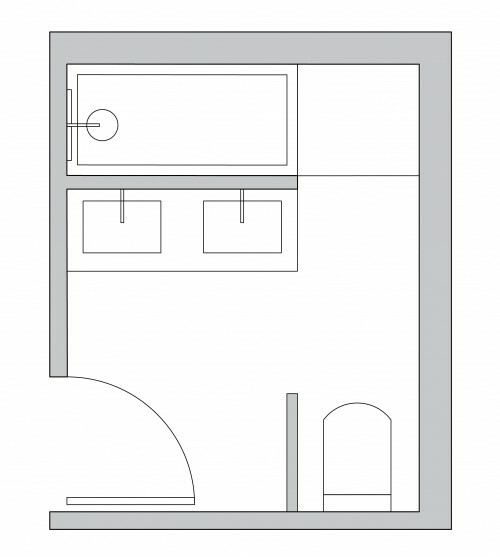 This example clearly shows that by placing the shower in the background, we make the small room seem twice as large. We even gain enough square feet for maneuverability. The arrangement of fixtures also alters the perception of space. If instead of a standard bathtub with a shower, we use the same area for a chic showering area – conveniently bounded by a bathroom screen – the bathroom’s geometry becomes substantially simpler. This boosts the orderliness and attractiveness of your small bathroom layout even more. When choosing how you’d like to separate the shower area from the rest of the bathroom, a clear glass shower enclosure is a much better bet than frosted glass doors or a shower curtain. That way, the eye can perceive the entirety of the bathroom. 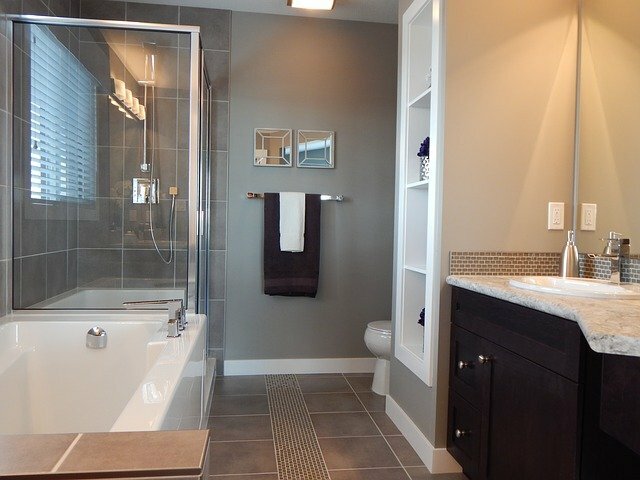 Keep in mind that even when the shower isn’t in use, it can still add to the sense of light and spaciousness. 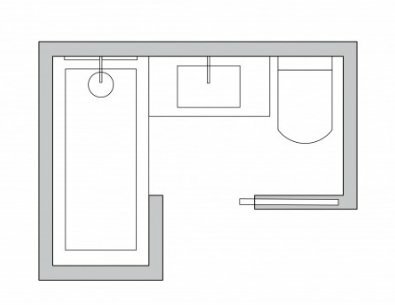 Now that we have covered the four basic pillars for designing a small bathroom layout, let’s take a look at its various distributions. If this is the case for your bathroom, the best distribution of space is the one that has the elements aligned to allow better circulation. The shower at the bottom (wall to wall) gives the impression that the room is shorter and wider. The toilet and sink leave enough space for the door to swing open. This then reveals our reflection in another space-adding feature, the mirror. If you have enough space, try not to place the sink centered with the door. Then no one will bump into you if they open the door when you’re washing your hands. This arrangement is also the cheapest for renovations since all the water pipes are placed on the same wall. There are a few small bathroom layout ideas for decoration that can refine the illusion of space when your bathroom is really tight. You can use a darker tile on the back wall, lower the roof if it is very high (to avoid the “tube effect”) or make a walk-in shower that allows that all the features to be on the same plane. For these short and wide arrangements, the entrance is on the long wall rather than on the short one. This means that the front wall is usually the widest part, unlike the previous case (long and narrow). There are two possibilities for this type of bathroom design: the entrance can be in the middle of the side wall or to the side. The criteria for the distribution are similar to those of the previous distribution. First, we must align the pieces for better circulation. The shower should be placed to one side (wall to wall) for convenience – and because it visually stretches the short side. 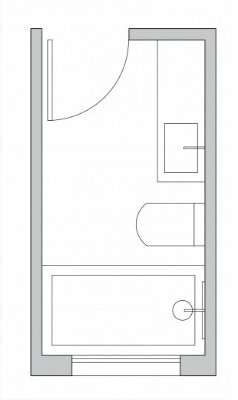 What will vary, according to the door placement, will be the position of the toilet and sink. 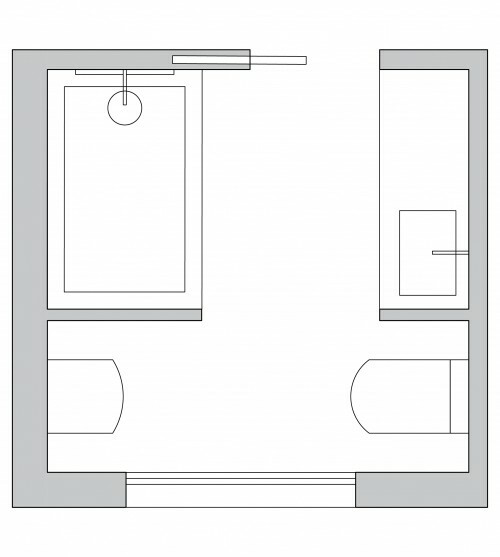 The basic rule is to place the sink in front of the door, whether it’s to one side or centered. 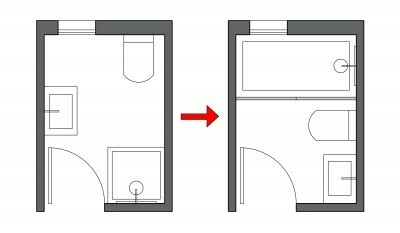 In the first example image, the sink is centered, with the toilet on one side and shower on the other. In the second, the sink is in the corner. The reasons for this arrangement are the same as we saw in the previous case. The sink should be the first item your eye goes to when you open the door to showcase the reflection in the mirror. 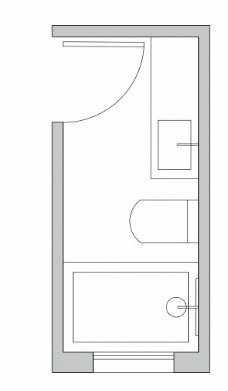 This not only makes the room seem more spacious (the mirror magnifies the feeling of space when you enter) and aesthetically pleasing but also allows us to open the door without bumping into the toilet because the sink has less depth than the other pieces. IDEA: If you can afford major changes, a centered door is much more interesting than one in the corner. Your bathroom will look bigger and will be better distributed. Moreover, if you place a sliding pocket door instead of a swing door, the effect will be much more evident and it will be easier to maneuver around the room. Bathrooms with an L shape are relatively easy to distribute. 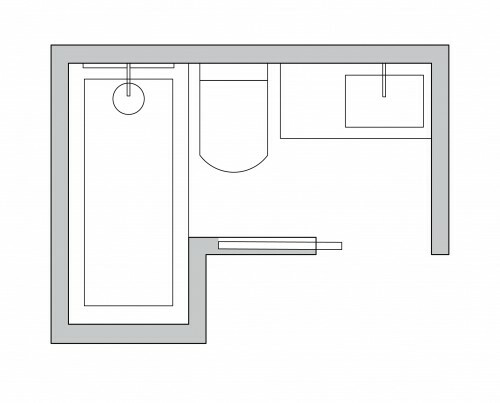 a) In an L-shaped room, you should consider placing the sink — maybe, a wall-mounted sink — opposite the door. If possible, place the shower on the short side and the toilet on the other side of the sink. If the downspout is on the short side, you can also place the toilet and a small shower or tub on the other side of the sink, from wall to wall. 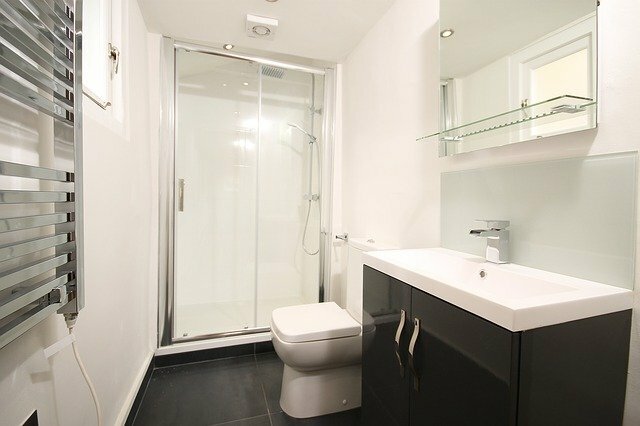 b) If you have a sliding door in your small bathroom, place the sink in the corner followed by the toilet and then the shower or tub. 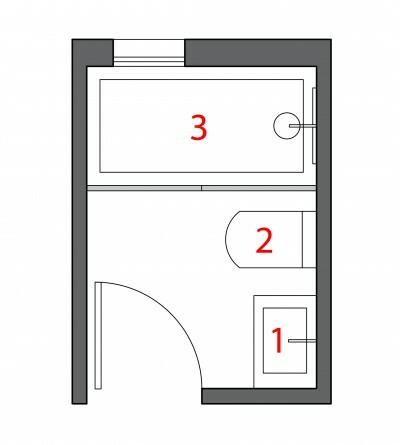 c) Sometimes, depending on the distribution of the rest of the house and if the L allows for it, you can distribute the room as shown on the floor plan below. In this case, you would be doing pretty much the same as for the long and narrow bathrooms with a side door. 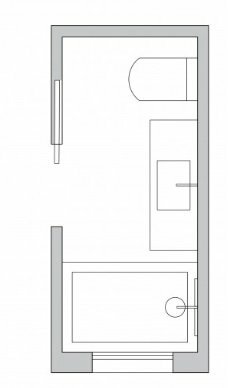 The sink is in the corner where the entrance is, then the toilet and in the bottom of the L, from wall to wall, is a shower or tub. It’s surprising how many variations square designs can have. 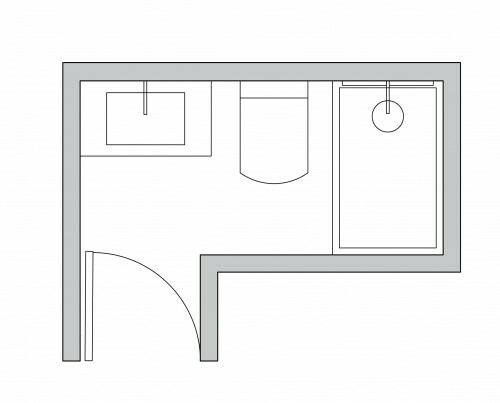 The door can be cornered or centered, the bathroom may or may not have a window, and so on. These kinds of factors often compel us to distribute the fixtures one way or another. In addition, there are specific needs for everyone that will influence the “correct” distribution (you may prefer a small bath over a shower, or you might want a bidet, etc.). And of course, size plays a big role. i)Leave the space beneath the window free to put a plant or towel bars (especially in extra small bathroom layouts), placing the sink, shower, and toilet beside the door. ii) If the sink is large, you can put a bathtub under the window and place the sink on the wall so that the door opens to it. Additionally, the toilet is placed on the wall opposite the sink. b) If the door is in the corner and there are no windows, you can put all the pieces in an L shape. If your bathroom is large enough, you can also use the available space for a double sink or opt for creative solutions such as building a half wall to support the sink and placing the shower behind that. Great article! 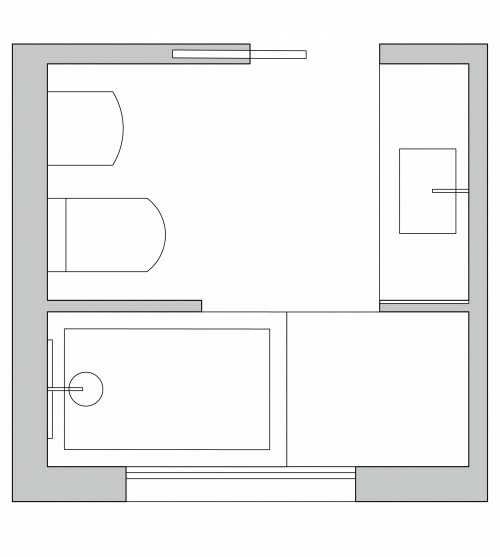 Thanks for sharing a link to our bathroom planning article. If you need a home design and floor plan tool to try Oriana’s excellent advice in your own bathroom deisgn, check out RoomSketcher Home Designer. Thanks for the tip! We’ll be sure to check it out. 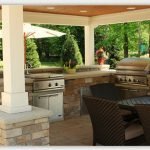 It sounds like a very valuable tool for our readers and homeowners in general! Thanks a lot for the article! Thanks to your insight I’m confident I can point my readers in the right direction. Linking to you in future articles. Thanks again. Great, practical ideas, lots of visuals to support the ideas and an easy layout on this website – this all makes for a user-friendly, helpful article. Many thanks! Love the example pictures that don’t match your advice. Nice! Excellent article! 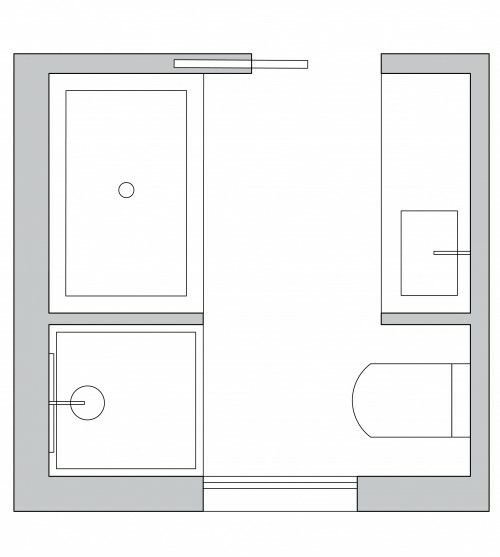 In fact, the best that I’ve read pertaining to small bathroom layouts.